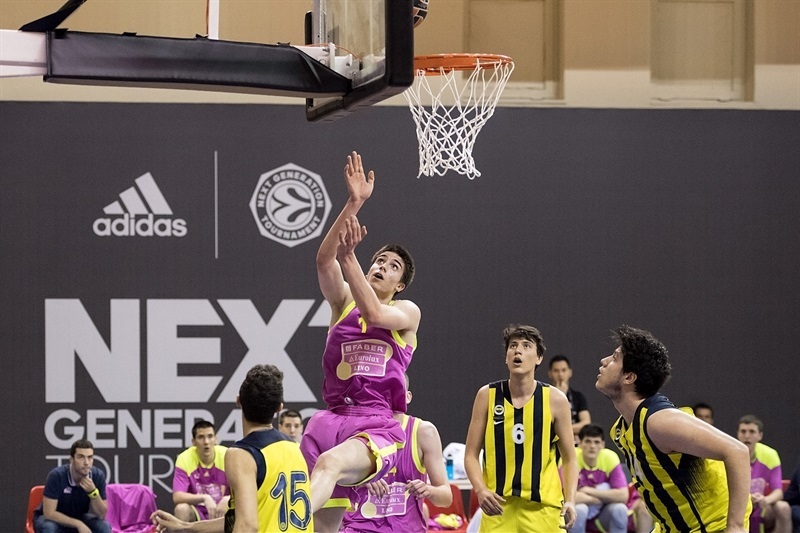 U18 Mega Bemax Belgrade became the second finalist for the 2017 Euroleague Basketball ADIDAS NEXT GENERATION TOURNNAMENT by defeating U18 Fenerbahce Istanbul 74-77. The win allowed the Serbian team to finish 3-0 in Group B and will face also undefeated U18 CFBB Paris in the championship game. 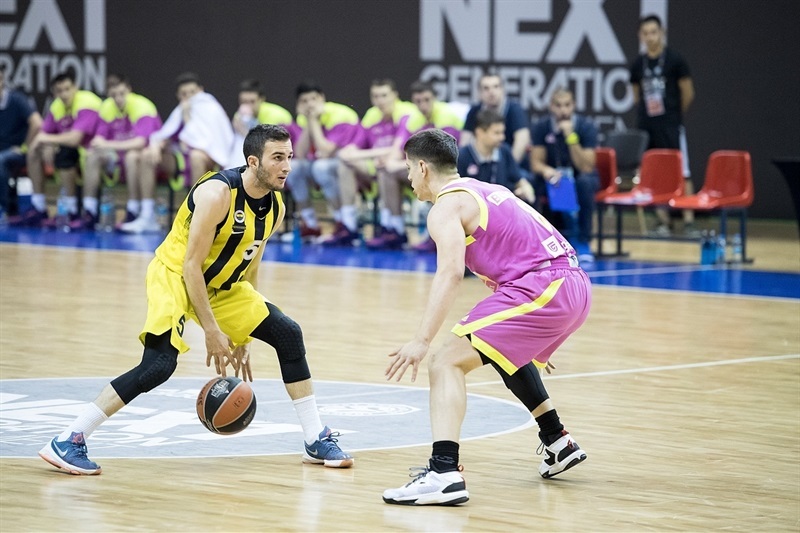 Nikola Miskovic led the winners with 22 points, Goga Bitadze 21 and Mihailo Jovicic, who hit the deciding three at the final minute, 14. For the hosts, Baris Yeniay led with 15 points, Ahmet Can Duran had 13 and Ugur Celik and Efe Ergi Tirpanci chipped in with 10 apiece. Mega Bemax started fast with a 0-5 run, but Fenerbahce started to work early enough and caught up to even jump ahead, 9-7. During the first half there were a few lead trades as neither team seemed to establish dominance in the game. 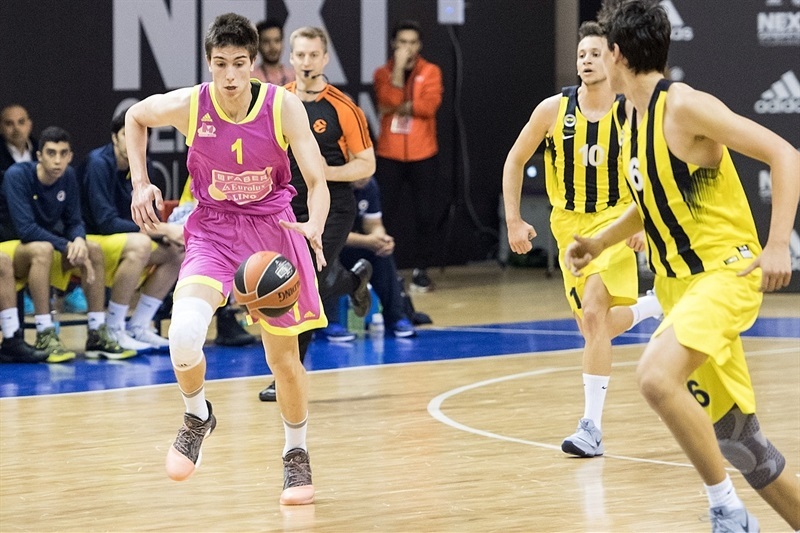 A 2-12 run by Mega Bemax led by Miskovic allowed the guests to establish a cushion around the double digits that allowed them to play comfortably. The Mega Bemax defense was working wonders on keeping Fenerbahce shooters, especially main man Ahmet Can Duran, back and the clock just kept running. 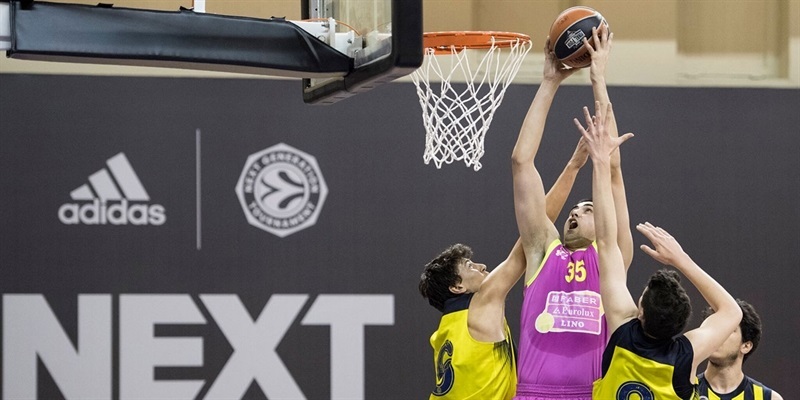 With a 41-58 Mega Bemax edge at the start of the last period, Fenerbahce needed a big push to try to turn things around, but that didn't happen. Goga Bitadze scored in the middle of the quarter to make it 39-52 and the gap even increased to 17 points, 41-58, with Niskovic free throws. In the last quarter Fenerbahce gave its last effort and for a moment the game went to a 65-69 deal with Duran free throws and 3 minutes to go. However a big three by Mihailo Jovicic with 40 seconds to go made it 71-77 to let Mega Bemax celebrate.